Spirulina has not only the proteins needed to promote a good night’s sleep; it also contains magnesium and potassium. Deficiencies in these elements have been shown to cause insomnia and poor quality of sleep. Spirulina also contains the amino acid tryptophan which the body needs to produce serotonin. It is actually a bacteria referred to as cyanobacterium, or otherwise called blue-green algae. It grows in salt water and freshwater environments. Its use goes back to the Aztecs and, in today’s society, people usually consume spirulina by tablets or mix the powder in their smoothies in order to reap the many health benefits. It acts as a powerful antioxidant: Spirulina benefits contains the antioxidants beta-carotene and zeaxanthin, as well as phycocyanin which is what gives it its blue-green color. Phycocyanin fights free radicals, thus slowing down the production of inflammatory-signaling molecules. This provides amazing antioxidant and anti-inflammatory effects. Spirulina is 65% protein and amino acids including the essential fatty acid gamma linolenic acid (GLA) which has gotten a lot of attention for its anti-inflammatory properties. It boosts the immune system: Spirulina contains many nutrients including iron, manganese, zinc, copper, selenium, and chromium. These nutrients, along with the eight essential amino acids and 10 other amino acids found in spirulina, fight cell-damaging molecules, thus boosting the immune system. It contains Omega 3-,6 and 9s and is especially high in Omega-3s. It reduces the risk of cancer: Studies have proven that the nutrients found in spirulina reduce the effects of environmental properties that damage the body on a cellular level. This inhibits further cellular degeneration that may lead to cancer. In some studies, spirulina was able to reduce the tumors associated with oral cancers. It’s extremely high in Chlorophyll, which helps remove toxins from the blood and boost the immune system. It can be a treatment for anemia: Taken along with vitamin B12, spirulina can boost the production of red blood cells. This has been found to be particularly useful for the elderly. Spirulina has a very high concentration of bio-available iron and is excellent during pregnancy and for those with anemia and will not cause constipation. It improves Quality Of Sleep: Spirulina has not only the proteins needed to promote a good night’s sleep; it also contains magnesium and potassium. Deficiencies in these elements have been shown to cause insomnia and poor quality of sleep. Spirulina also contains the amino acid tryptophan which the body needs to produce serotonin. It increases stamina and muscle endurance: Spirulina increases one’s metabolism and helps the body burn fat instead of carbohydrates. It also protects the body against oxidative stress and increases antioxidant activity after a workout, thus improving the levels of endurance for athletes. It lowers blood pressure: Spirulina promotes a decrease in blood pressure by raising the production of nitric oxide. Nitric oxide encourages the blood vessels to relax and dilate. High blood pressure can lead to heart attacks, strokes, and many other ailments. It is also incredibly high in calcium with over 26 times the calcium in milk, making it excellent for children, the elderly and during pregnancy. It helps in weight loss: Because Spirulina contains a multitude of nutrients, vitamins, and has an average of a 70% protein level, those who regularly consume spirulina will be less hungry and less likely to overeat. It boosts energy: The vitamin content and protein in Spirulina elevate energy levels, making cardio workouts more effective so the body will burn fat faster. Also, unlike other energy-stimulating sources which are temporary, spirulina maintains a consistent effect. Cayenne pepper, known scientifically as Capsicum frutescens, is a chili pepper that originated in French Guiana and gets its name from the territory’s capital city of Cayenne. For those who love spicy foods, cayenne, also available in powdered form, adds a fiery note to the dishes in which it’s used. Capsaicin, the plant-based compound that accounts for cayenne’s intense heat, also endows it with a surprising array of healing properties, many of which have been confirmed in research studies. For ulcers, sore throats, diarrhea and coughs, cayenne pepper is a sure remedy. It offers relief from any of the mentioned irritations. Cayenne pepper helps in getting rid of congested mucus in the nasal cavity, hence offering relief from flu and cold. For cases of attack from fungal pathogens such as phomopsis and collectotrichum, cayenne pepper has been found to effectively prevent their formation. Cayenne pepper is capable of triggering a response in a different part of the body hence reversing brain’s focus to the ‘new pain’ region. As a result of this ‘false alarm’, nerve fibers loses the substance P which is responsible for pain and the anticipated pain is lowered to a great deal. By stimulating the digestive tract, cayenne pepper helps in improving enzyme production as well as gastric juices. As a result, the body is able to break down food as well as toxins. If you suffer from intestinal gas by promoting intestinal peristaltic motion necessary for both assimilation and secretion of waste products of digestion., aiding in both assimilation and elimination. Cayenne pepper aids in lowering atherosclerosis by encouraging fibrinolytic action and warding off factors that cause blood clotting. Consequently, risks of heart attack or stroke are minimized. Cayenne pepper is a stimulant in a class of its own. It speeds up lymphatic processes as well as the rhythmic reaction in the digestive system. As we know, the heating up process in the body leads to detoxification. Moreso, cayenne pepper stimulates sweating hence loss of body waste through the skin is initiated. Cayenne is rich in a compound known as capsaicin. This substance triggers a certain pain momentarily on the skin. A chemical message is triggered into the joint from the skin, resulting in relief from pain. It has been found through studies that cayenne pepper fights certain types of cancers such as lung cancer in smokers due to their capsaicin content. The study elucidated that capsaicin halts tumors which form as a result of tobacco smoking, in the lungs. Cayenne pepper has been linked to weigh loss due to its ability to improve metabolism which means burning excess fats to release energy. Cayenne eaters have been observed to eat less due to loss of appetite especially if they took it as breakfast. Cayenne pepper helps to restore blood pressure levels normal. In the same mechanism it uses to fight artherosclerosis, it unblocks arteries hence improving blood flow. This way, the blood pressure is kept on check. Pepper reduces the risk of arthrosclerosis; it simultaneously lowers the risk of hypertension. Lecithin helps1/3 of all Alzheimer’s patients. Take B-12 and Korean Panax Ginseng to help with forgetfulness and confusion. Drink reverse osmosis purified water or distilled water only. Cleans colon and stimulate circulation. Remove mercury fillings from mouth. Eliminate all aluminum cookware, foil, and deodorant with aluminum. Use natural aluminum free deodorant instead. Nothing stated here should be considered as medical advice for dealing with a health problem. You should consult your health care professional for individual guidance for specific health problems. This blog is for informational, entertainment and educational purposes only. Want to read more helpful tips like this? Join our monthly newsletter. It’s full of useful health tips with ZERO ads! Fibromyalgia is a syndrome characterized by severe muscle pain, tender body points, disturbed sleep, depression, fatigue, and anxiety. It is often difficult to diagnose, because symptoms can vary in severity and mimic other chronic conditions such as Chronic Fatigue Syndrome and Lupus. 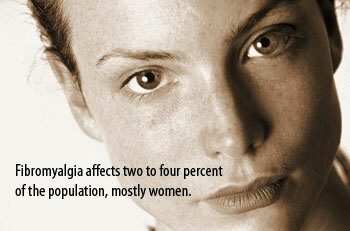 Approximately 3.7 million Americans suffer from fibromyalgia to some degree, and about 90% of the cases occur in women. As part of the comprehensive program of nutrition, exercise, and lifestyle modification, you may want to consider some of the supplements and treatments listed below to help support your body. Both vitamin D and magnesium levels have been found to be low in people with fibromyalgia, but as of yet there is no evidence that taking vitamin supplements are an effective fibromyalgia treatment. Vitamin D, known as the sunshine vitamin, does have some effects on nerve and muscle function, and some studies have suggested that low levels of vitamin D may be associated with chronic pain of fibromyalgia. In a small clinical study published online in the January 2012 issue of Pain Medicine, fibromyalgia symptoms improved in 30 women after 8 weeks of vitamin D supplementation. Acupuncture is one of the oldest forms of treatment for chronic pain and is based on ancient Chinese medical practices. There have been several studies on the usefulness of acupuncture in fibromyalgia. Three studies support the use of acupuncture combined with a pulsed electric current, a treatment called electroacupuncture. Although this fibromyalgia treatment seems to relieve pain, the results are not long-lasting. Massage therapy is another alternative pain treatment that is one of the most commonly tried for fibromyalgia. The benefits of massage are hard to demonstrate in a clinical study, but it does seem to be helpful for many types of muscle pain, including fibromyalgia. Massage is generally safe. Capsaicin comes from cayenne peppers and is considered a natural pain reliever. It’s the active ingredient in a variety of over-the-counter sprays and lotions. When applied to a painful area of the body, it stimulates the release of a body chemical called substance P. As substance P is depleted, the pain sensation seems to decrease. Capsaicin has been used for chronic pain in diabetes, cancer, and cluster headaches. Chiropractic medicine is an alternative form of treatment that uses spinal manipulation and realignment to relieve pain, improve function, and promote natural healing. Chiropractic has been studied in many chronic pain conditions. Most studies suggest it may be effective for relief of back, neck, or headache pain. The supplement 5-HTP is thought to work by increasing levels of the neurotransmitter serotonin in the brain. There is preliminary evidence that it may reduce the number of tender points in people with fibromyalgia, possibly by effecting pain-modulating systems in the brainstem. A double-blind, placebo controlled study looked at 5-HTP or placebo in 50 people with fibromyalgia. After four weeks, people taking 5-HTP had a significant improvement in pain, the number of tender points, stiffness, anxiety, fatigue, and sleep. If you want to try one of these fibromyalgia treatments, always check with your doctor first. 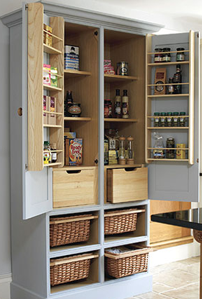 Whether you are lucky enough to grow your own tea herbs, you purchase loose teas, or you use tea bags, your cabinet is not complete without the following ingredients. These teas are delicious and beneficial, with many different healing qualities. Just like band-aids, antibiotic cream, or aspirin, these items are vital additions to your pantry, allowing you to dispense a hot, steaming, fragrant cup of nurturing in as little time as it takes you to boil water. 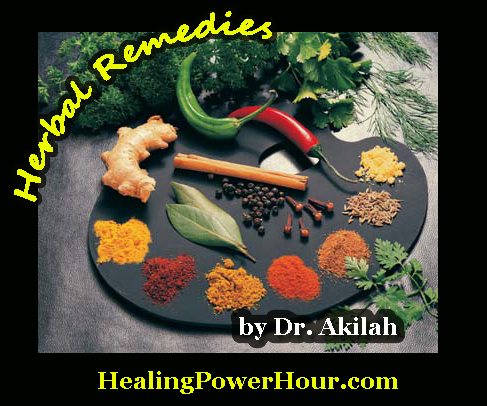 There are many different herbs from around the world that have wonderful healing properties. I’ve concentrated this list on ones that can be easily acquired and stored, or which can be easily grown in a backyard garden or a sunny window. If you suffer from acid reflux, mint tea may worsen your symptoms. Mint has antispasmodic properties. Reduce congestion in a cold or flu sufferer. Reduce pain and bloating from gas. Act as a mild expectorant for a chest cold or bronchitis. Induce sweating, the body’s natural cooling mechanism. This is a natural way to reduce a fever. Ginger is a tropical plant that is not difficult to grow indoors. It requires excellent soil, warmth, humidity, and filtered sunlight. Prevent or treat motion sickness. Warm the body of someone suffering from chills. Induce sweating to break a fever. 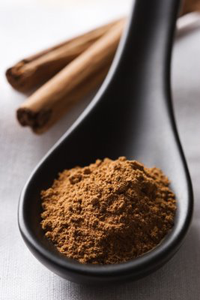 Cinnamon is the fragrant bark of a tropical evergreen tree which is surprisingly easy to grow indoors in large pots. You can actually root the lemongrass that you buy at the grocery store to start your own patio lemongrass farm. It grows beautifully in a large pot, making it a good herb for the apartment windowsill farmer to cultivate. It can be grown year-round indoors. calm nervous disorders and anxiety. aid in the treatment of high blood pressure if a daily cup is enjoyed. dilate blood vessels and improve circulation. act as a mild diuretic to reduce fluid retention. This lovely flowering plant is probably the pinnacle of herbal preventatives. Echinacea is not only anti-bacterial, it stimulates the body’s immune system to fight off bacterial and viral attacks. The medicinal properties are in the leaves and the purple flowers. shorten illness time for sufferers of the common cold. 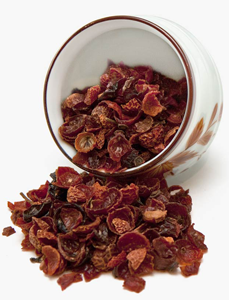 Rosehip makes a tart, tangy pink-colored tea. Rosehip is from the seed-filled pod at the base of a rose blossom, giving you a practical reason to have more rose bushes in your garden. It mixes well and enhances the flavor of any berry or fruit-flavored tea. provide a nutritional supplement of Vitamin C.
provide minerals such as calcium, iron, silicon, selenium, natural sodium, magnesium, manganese, potassium, phosphorus and zinc. reduce pain and inflammation from sore throats. provide an antibacterial effect against H pylori, the bacteria that causes stomach ulcers. provide high levels of salicylic acid, which gives them similar properties to aspirin, such as pain relief and fever relief. reduce inflammation of the gums. provide pain relief – it is a powerful analgesic. break up mucous and work as an expectorant. provide a fragrant decongestant in a steaming cup of tea. treat strep throat or tonsillitis – it relieves pain and provides a wash of antiviral and antibacterial components. fight off viruses – it was used historically against shingles, mumps, and cold sores. aid the digestive system by reducing spasms and quelling heartburn. Be prepared by keeping the above ingredients close at hand, and be self-sufficient by producing as many as possible for yourself – which is always the best way to make sure that the items were grown using safe, organic methods. Considering that we most often turn to herbal teas for healing purposes, it’s especially important to purchase or grow organic herbs for this purpose. If your leaves are bathed in pesticide and then you add them to boiling water, instead of healing goodness, you are steeping toxins. About the author: Daisy Luther is a freelance writer and editor. Her website, The Organic Prepper, offers information on healthy prepping, including premium nutritional choices, general wellness and non-tech solutions. You can follow Daisy on Facebook and Twitter or visit The Organic Prepper.